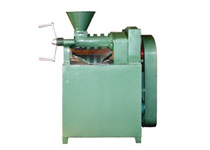 We are a professional oil mill machinery manufacturer and supplier in China, we supply qality oil press, soybean extruder, filter press and other oil processing machinery. 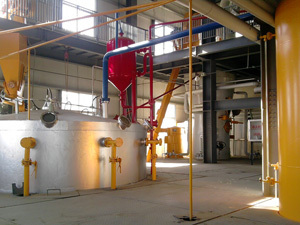 Our soybean extruder consists of a driving system, a feeding device, an extruding device, an electric control cabinet etc. Soybean extruder had the honor to win the National New Product Certificate granted by the State Science and Technology Commission, and is a patent product with a patent No. ZL90224391.8 of our works. 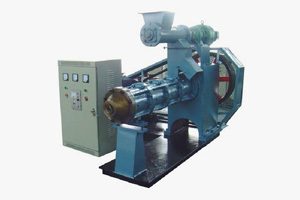 The soybean extruder is the main technological equipment for rice bran stabilizing treatment and bean extruding in cereal and oil industry, and also can be used to manufacture different expanded feeds in oil mills, rice mills, soybean protein factories and feed mills.All of the soybean extruders are matched Chinese Standard electricity situation:380 Volts, 50Hz, 3 phases. If clients have particular electricity requirements about the extruders, clients should pay extra expense of electricity special require. If you are interested in our soybean extruder, please contat us in the following form and you will never regret doing so.